An Associated Press report this week revealing that Georgia’s Secretary of State Brian Kemp's office has placed tens of thousands of voter registration applications on hold has escalated a bitter fight over concerns of voter suppression in the homestretch of the state's highly contested governor race. 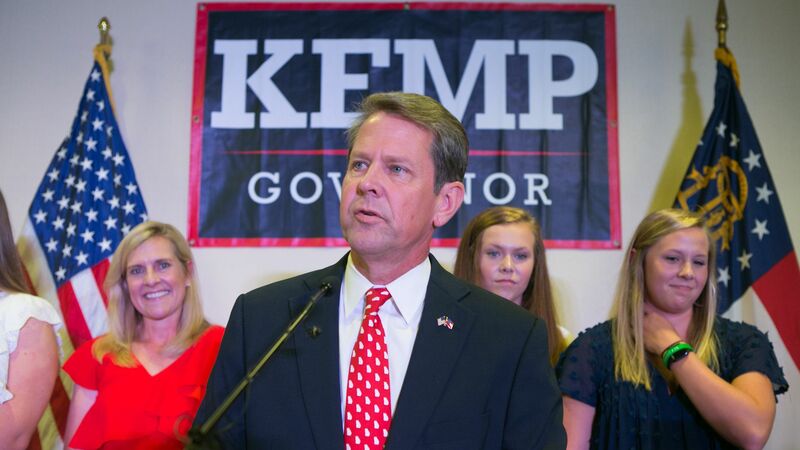 The latest: A coalition of civil rights organizations on Thursday filed a lawsuit against Kemp, the state’s top election official and Republican nominee for governor. The injunction request seeks to reopen voter registration to ensure that the 53,000 registrants on hold — nearly 70% whom are black voters — would be allowed to register to vote. Tuesday was the last day to register. The details: Kemp’s office uses the “exact match” voter verification system to verify voter applications. It requires that voter applications be perfectly matched with information on file at Georgia's Social Security Administration and the state's Department of Driver Services. The suit filed Thursday also seeks to halt this system. What they're saying: Stacey Abrams, the Democratic candidate hoping to become the country’s first black woman governor by heavily relying on highly motivated liberals and nonwhite voters to pull off a victory, responded to the developments on twitter: It "feels like deja vu" from Republicans. Her campaign on Thursday called on Kemp to resign, as first reporter by CNN. The other side: Kemp's office told the AP that "the law applies equally across all demographics," but the numbers are skewed by "the higher usage of one method of registration among one particular demographic group." His spokeswoman, Candice Broce, has denied the accusations of voter suppression, telling Axios in a statement that the lawsuit is a "publicity stunt. ...Their claims are bogus. It is a complete waste of our time and taxpayer dollars." She also said that the 53,000 people can vote in November if they show up at the polls with the same photo ID others must present.